Just received a new terrarium and not sure how to take care of it? This guide is here to save the day! 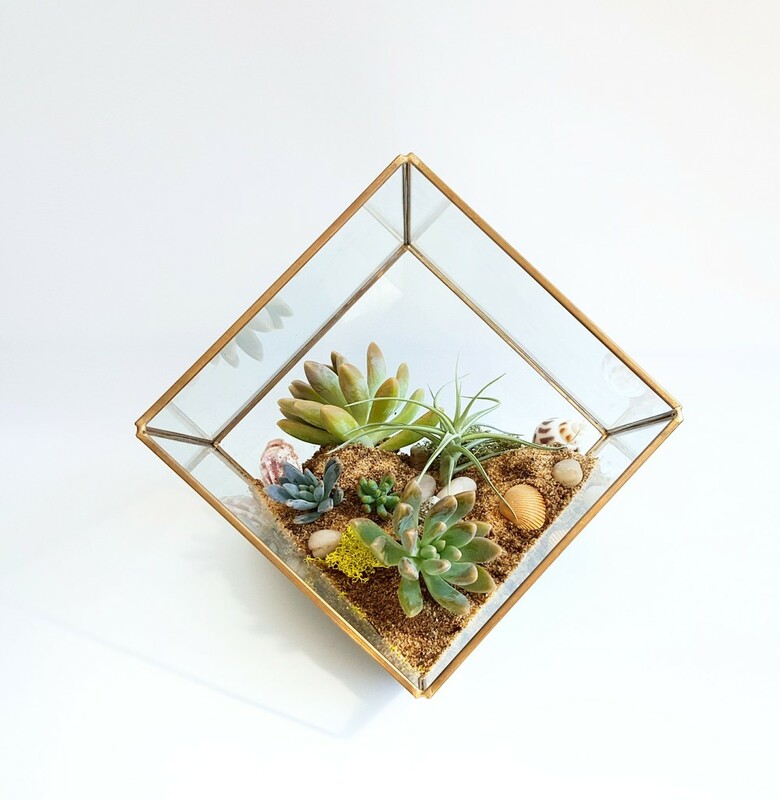 Terrariums bring the outdoors in and can add a touch of botanical style to any indoor space. They come in different sizes and shapes, and are typically easy to take care of. 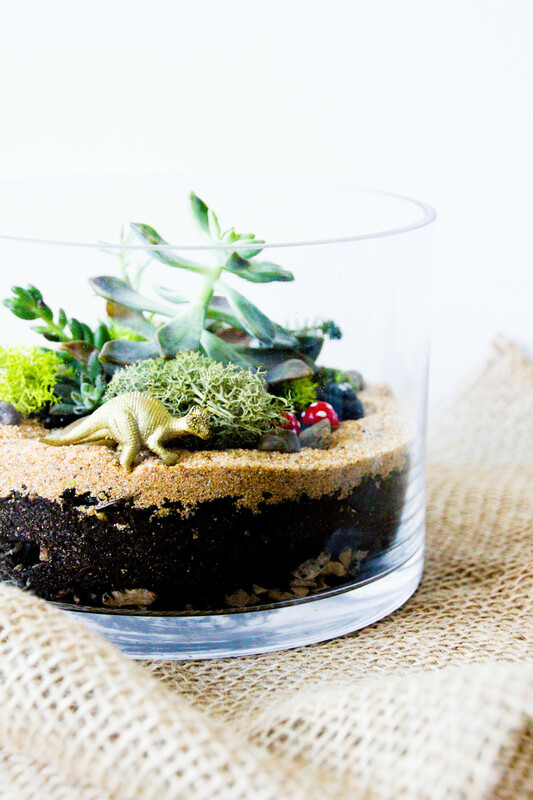 Follow the key steps in how to look after your terrarium and you'll have a friend for life (sort of) ! Lightly spray the live plants (succulents, air plants, fresh moss) with water every few days. It is best to let it the terrarium dry completely before spraying again! We recommend spraying with water typically twice a week. 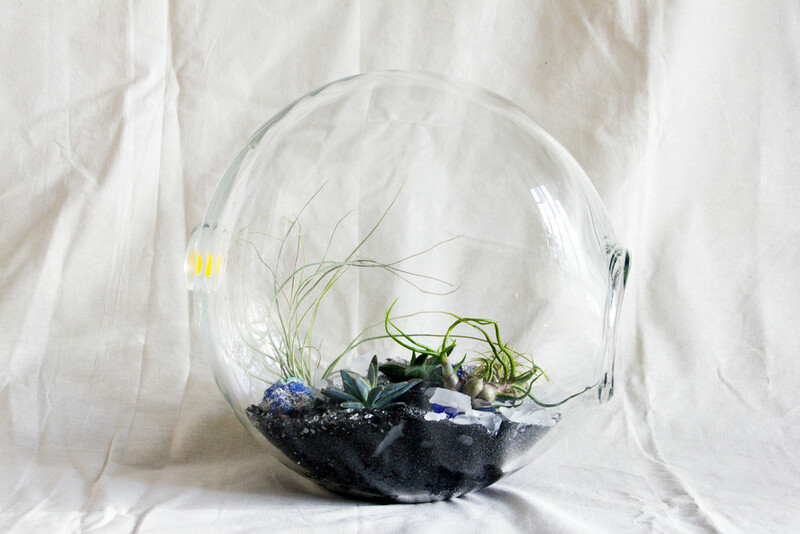 Place your terrarium somewhere with some light, such as either near a window or an indoor light source. The more light there is, the faster it will grow and potentially flower! Pick out any old, dead leaves as they die off, to keep the terrarium clean and healthy. This also reduces the risk of bacteria and bugs. As the plants within your terrarium continue growing, you can keep them tidy if they get too big or tall - just snip parts of them off. And you can replant the cutting too! Sometimes, for whatever reason, a plant will die. If that's the case (brown, shrivelled), remove it immediately from your terrarium. Use tweezers to get the tiny left over bits. Most succulents featured in our terrariums are home grown! We love the little fellas and recommend giving them a spray of water about twice a week. They typically like to be a little moist and enjoy drying out before getting wet again. Indirect sunlight is great for succulents, allowing it to grow and sometimes change colour depending on how much sun it gets. If your succulent outgrows its space, you can cut off new shoots or too large heads, in order to control the size. Succulents propagate themselves really easily, so even though it'll look like it's had a shave, it'll be good as a new in no time! 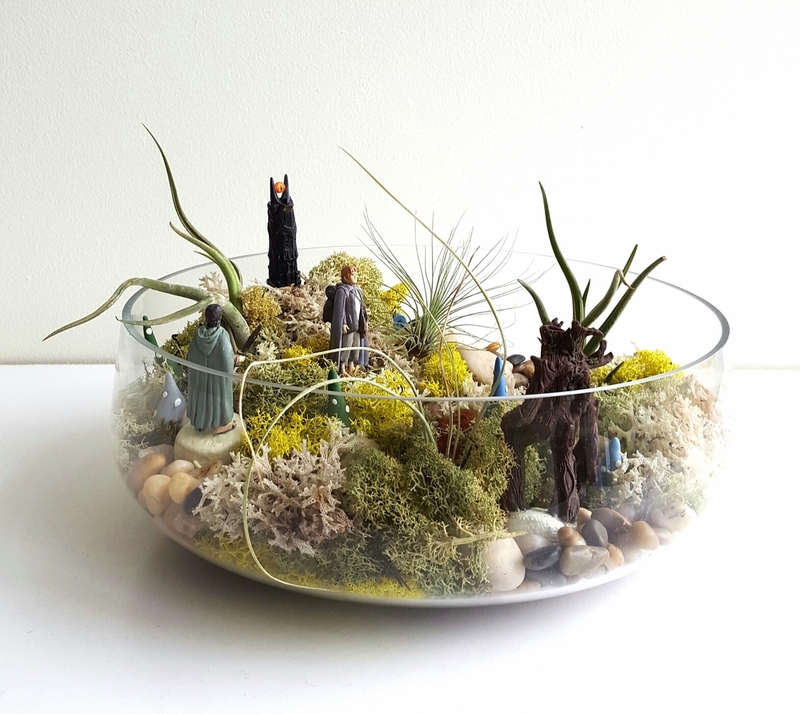 If you have air plants in your terrarium, we recommend you take them out and place in a bowl of (cold to lukewarm) tap water to soak for up to a couple of hours. Once time's up, take out the plant and let it dry completely, before placing it back in your terrarium. We typically soak our air plants approximately once every couple of weeks. You'll notice when they're due for a soak, when you give them a bit of a squeeze and they don't feel as hard as they used to. If they're getting softer, they're in need of a soak! In all our terrariums available in our shop, we feature preserved reindeer moss. When you touch them, they feel a little rubbery. We recommend trying to avoid spraying preserved moss with water where possible, to reduce the speed of it fading in colour over time. In some of our custom terrarium creations, we use living reindeer moss. You'll notice it instantly as it's slimey to touch. You'll need to spray quite a bit with water if you want it to continue being slimey. Without water, it begins to slowly dry and you'll notice this. Give it more water and you'll see it revitalise almost instantly, but we don't recommend you let it dry out for too long! For some of our custom terrarium designs, ferns such as maidenhair ferns, are used as a feature. Ferns like to be consistently moist in order for them to thrive. We recommend placing terrariums that feature ferns somewhere with more sunlight, so that condensation can help with keeping the ferns moist. Shop Terrariums and Top Ups!